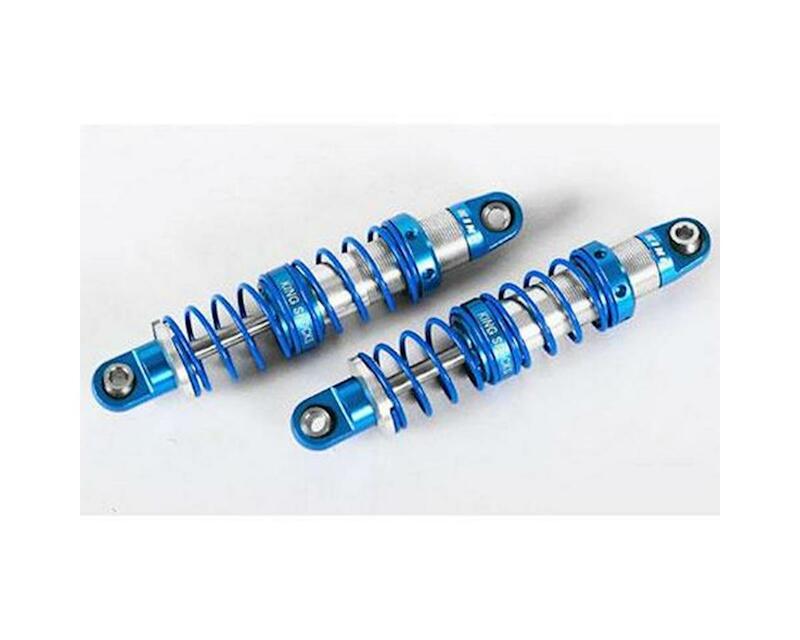 This is a pack of two RC4WD 70mm King Off-Road Scale Dual Spring Shocks. These fully licensed King replica shocks have been re-designed from the ground up and are pre-built and ready to fill with the oil of your choice. These shocks are the perfect way to finish off any scale project that uses a 70mm long shock. Your scale build will never be the same once you bolt up a set of these awesome looking shocks.